FAYETTEVILLE, Ark. 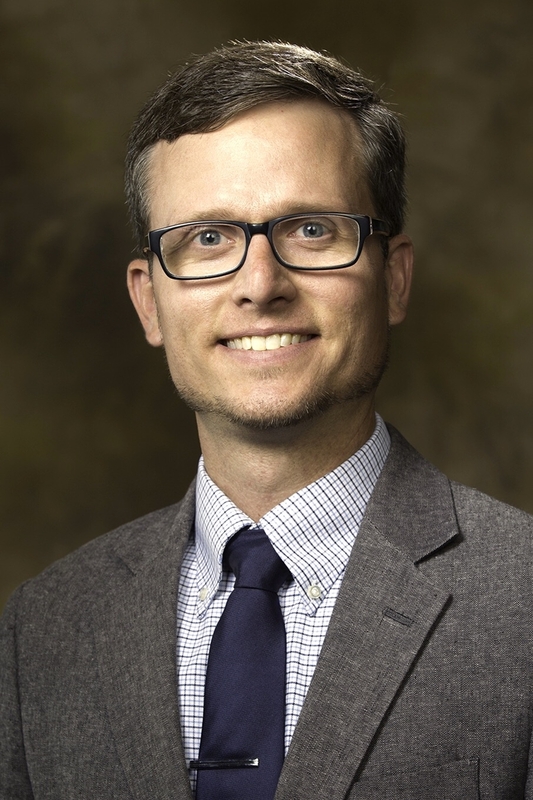 – Joseph Herzog has been appointed to a tenure-track position in the Department of Physics in the J. William Fulbright College of Arts and Sciences at the University of Arkansas. Herzog was a visiting assistant professor at the U of A for the past three years. Herzog’s interdisciplinary research is in the field of nano-optics, which include the subfields of plasmonics and photonic crystals. His work involves computational electromagnetics, nanofabrication, and optical characterization of nanostructures. Herzog was awarded the Faculty Gold Medal in 2016 for outstanding research mentorship of students. Through his research group, he has mentored almost 20 students over the past three years. Gabrielle Abraham, one of Herzog’s former undergraduate students, was awarded a National Science Foundation Graduate Research Fellowship. Herzog earned a doctorate in electrical engineering from the University of Notre Dame and was a postdoctoral research associate in the Department of Physics and Astronomy at Rice University in Houston before joining U of A faculty. He received his bachelor’s degree from Louisiana State University. He has also worked with Intel Corporation and conducted microfabrication research in Berlin at the BESSY synchrotron facility. He is an affiliated faculty member of the Microelectronic and Photonics Graduate Program and Institute for Nanoscience and Engineering at the U of A. In addition to his research success, he also serves as the faculty advisor for student chapter of SPIE – the international society for optics and photonics.